Although Belfast boat factories constructed hundreds of ships, one seems to have dominated the headlines! So needing to bring a small gift across to the US I decided that some Titanic merchandise would be appropriate: a book about the shipyard and the people who built the ill-fated liner, and a bag of Titanic tea. 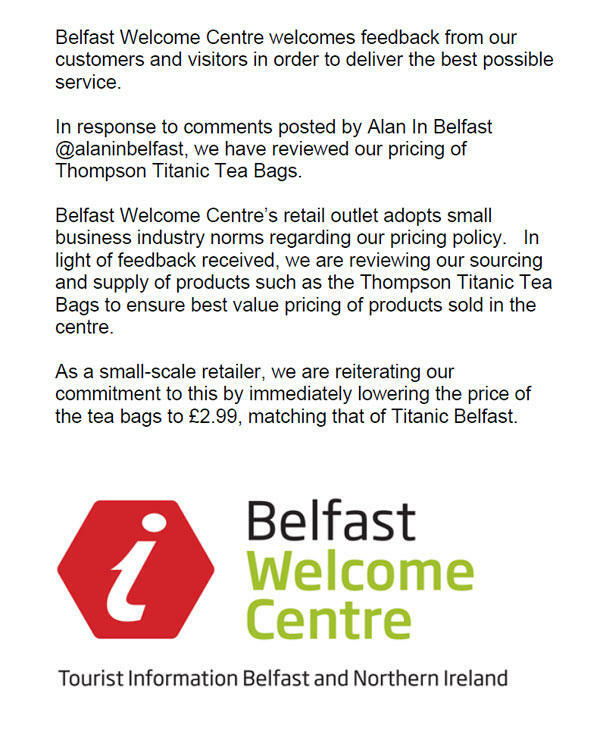 Belfast Welcome Centre seemed like a good place to pick up Titanic tat until I choked at the £5.99 price for 80 locally blended tea bags. Tesco proved a lot cheaper at £2.29 - though this was still 20-40p more expensive than other similar packets of non-Titanic branded tea. I challenged a member of staff at the Welcome Centre about their exorbitant pricing - nearly three times the price of Tesco. 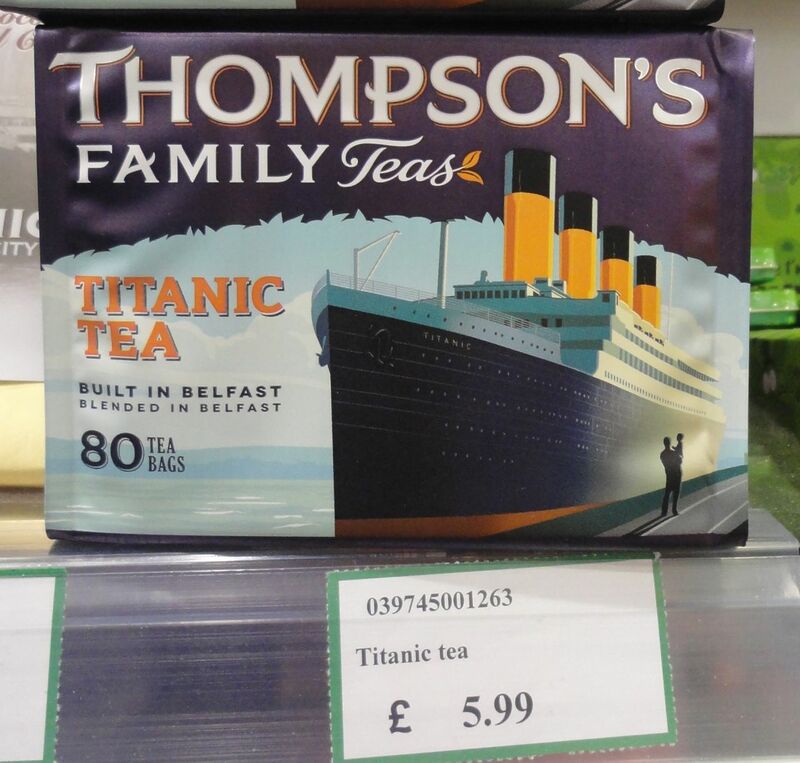 "It's even dearer down in Titanic Belfast" he said. So I checked out his claim - not true. 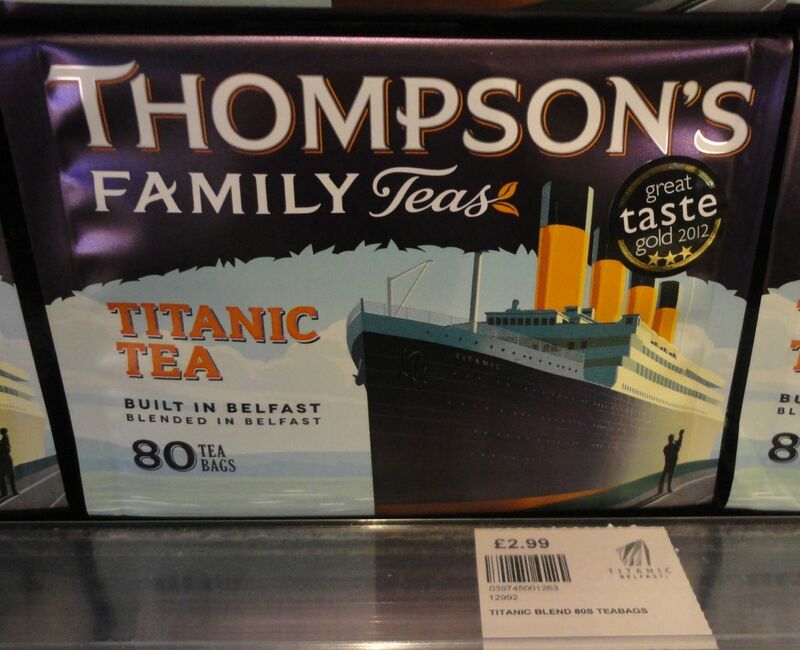 A quick shifty in the Titanic Belfast gift shop turned up the same tea bags for a modest £2.99 - half the price of the Welcome Centre. While it's conceivable that the Welcome Centre don't sell too many boxes of tea - particularly at that price - the uncompetitive pricing seems a complete rip off, and one that takes advantages of tourists rather than offering value. 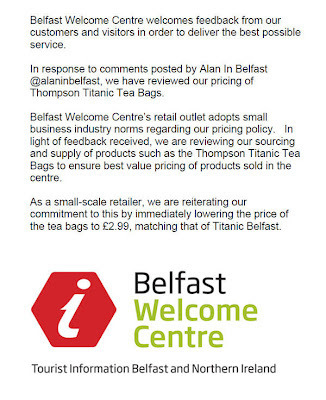 Update - around lunchtime, the Welcome Centre dropped their price to match Titanic Belfast! Every online booking journey seems to be unique. While the processes for checkout and even order cancellation at big name retailers like Amazon are well oiled and well understood, smaller organisations offering online payment are often more haphazard in nature. 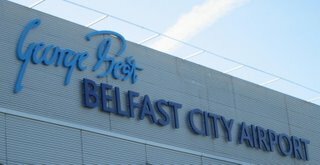 Tonight, booking a car park place in Belfast City Airport's long stay car park for the end of October, I wondered what would happen if my flight changed or I needed to cancel? The FAQ on the website had good news. If I gave them more than 48 hours notice, I'd get a full refund. For those products that can be cancelled, you may cancel your booking up to 48 hours prior to your scheduled departure time at no charge. The text in the confirmation email was less clear cut. So which is it? Full refund with 48 hours notice? Or cancellation fees? While Belfast City Airport is a timely example, there have been other examples I've stumbled across in the past week. Clarity and consistency at the different stages of the booking process would be helpful from all retailers. PS: Booking a space in the long stay car park at the City Airport is currently cheaper for 7-15 days (flat rate offer of £30) than booking for 5 days (£38.50). I wonder whether there's any penalty for leaving the car park early? It’s a weekend of opportunities with European Heritage Open Days, East Belfast Festival, Portrush International Airshow and Proms in the Park at the Titanic slipway all running. On Saturday 8 and Sunday 9 September, over 300 buildings will open to the public for free as part of the fifteenth annual European Heritage Open Days. The full programme is available to download, or split into smaller county-wide sections. In Belfast, there are a number of architectural walking and bus tours, above ground and below. Guides will also take you around Central Library, the MAC, PRONI (the Public Records Office), Victoria Square, Linenhall Library, Freemason’s Hall, the Ulster Hall. Up nearer Botanic Gardens, check out the First Church of Christ, Scientist with its architectural similarities to Portmeirion and the set of The Prisoner. Parliament Buildings is open (as usual) with very frequent tours around the NI Assembly, library and galleries. And Stormont Castle, the home of the NI Executive and OFMdFM, is also open over the weekend. The headquarters of the Belfast County Orange Lodge as well as Ballynafeigh Orange Hall are open and offering refreshments. Further afield the 36.5m tall St John’s Point lighthouse is open on the Sunday (sadly fully booked already). Up on the north coast, the architect will offer a guided tour around the new Giant’s Causeway visitor centre. Two homes from the BBC’s House of the Year show are open this year: the ‘Origami House’ in Kells and 2012 winner Robinsview in Ballycloghan. Both tours are fully booked. Armagh Observatory is opening up on Saturday, and the neighbouring Armagh Planetarium is offering free star shows, though booking is essential. Many churches are open, some even open on Sunday! Note that not all buildings are open on both Saturday and Sunday. Check the EOHD website for opening hours. 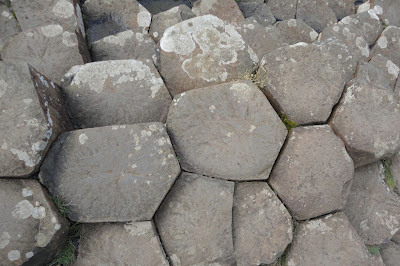 Hexagons abound at the Giant’s Causeway. Staying for a few nights up on the north coast, we called in to see the new National Trust visitor centre and take a walk down to the basalt columns. 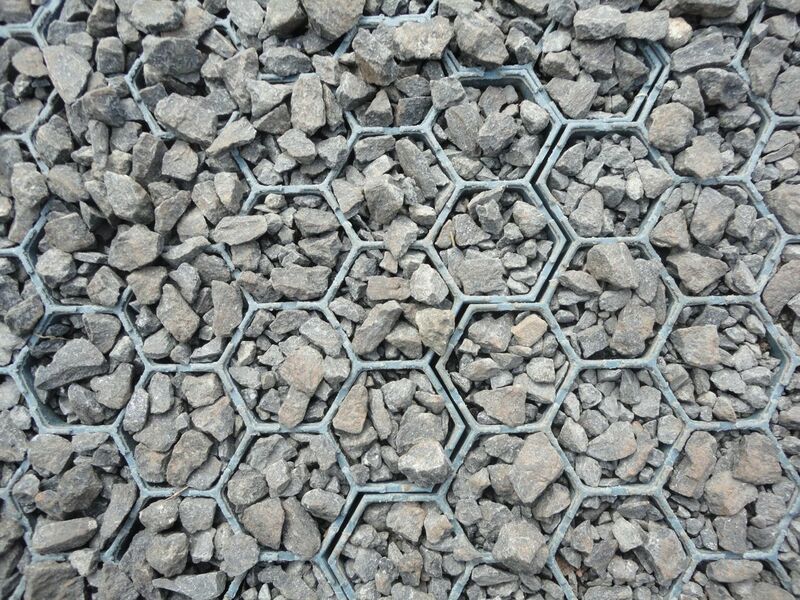 There is still free pedestrian access down to the Causeway and onto the network of paths. You avoid charges if you step away from the shiny new visitor centre and walk on past. First impressions were good, with lots of parking. Note that there’s no charge on the way into the centre’s car parks. Instead, you’ve got to show your ticket on the way out. Ulsterbus 172, 252 and the Causeway Coaster services call stop near the centre. And there are bike stands near the next-door Causeway Hotel. Second impressions were poor. The café – just in the door past the ticket desk – charges fancy prices but doesn’t serve fancy food and in our case (first thing in the morning) had someone else’s food caked onto the side of the table. 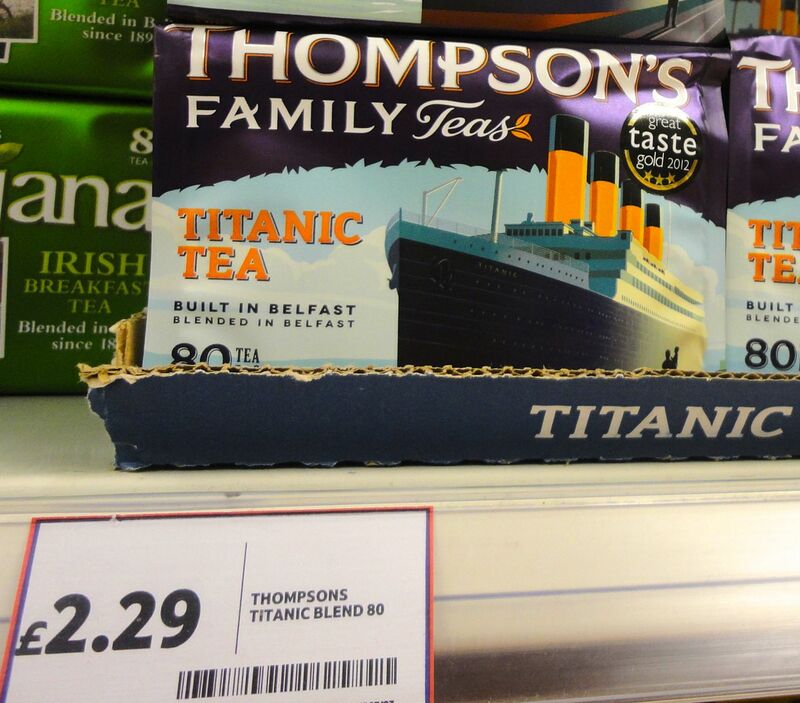 Probably the most expensive cup of tea or coffee you would buy on the north coast. And the scones are closer to rock cakes … it took a lot of butter to lessen the stodginess of my cherry scone. £3 for a slice of cake. Tip – Bring a picnic. 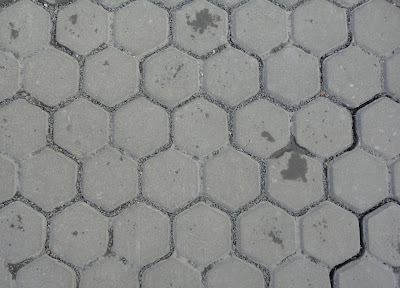 The audio guides provide a great commentary on the walk down from the hill towards the famous hexagonal basalt columns. Tip – Ask for the children’s commentary: you get the same information with a much more entertaining delivery. Unfortunately once the NT staff hand you your audio guide there’s no way for you to change the language or version of the commentary without taking it back. 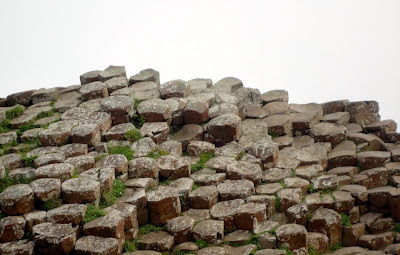 Having been a fairly frequent visitor to the Giant’s Causeway in the past, there were still lots of factoids and stories that I hadn’t heard before holding the guide up to my ear. Tip – If it’s a windy day, bring gloves otherwise one hand will slowly freeze as you hold the speaking plastic gizmo up to your ear. 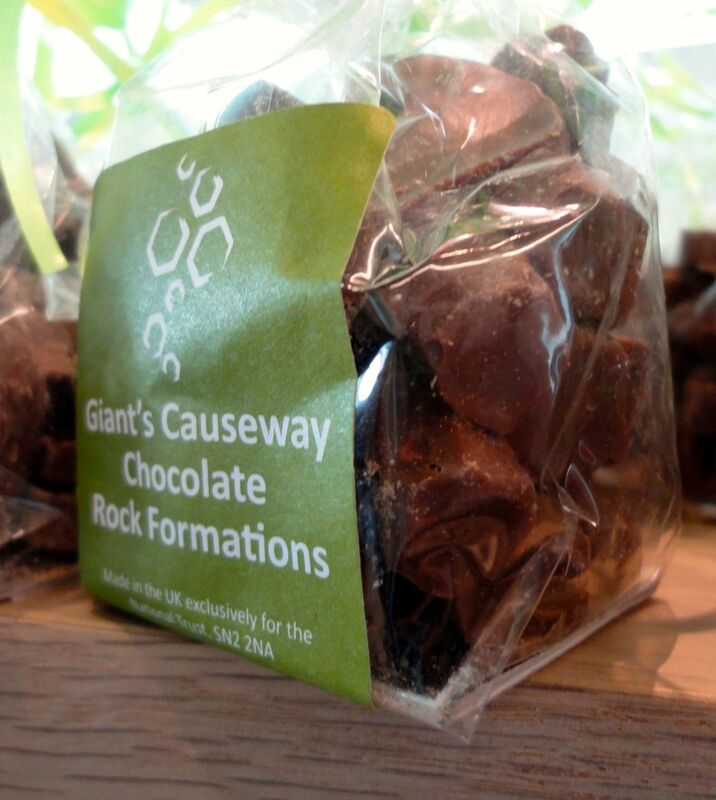 The visitor centre has an easy mix of legend and geology. Finn McCool sits neatly alongside visual displays showing how the bedrock of Ireland and Scotland have moved around over the last 470 million years. 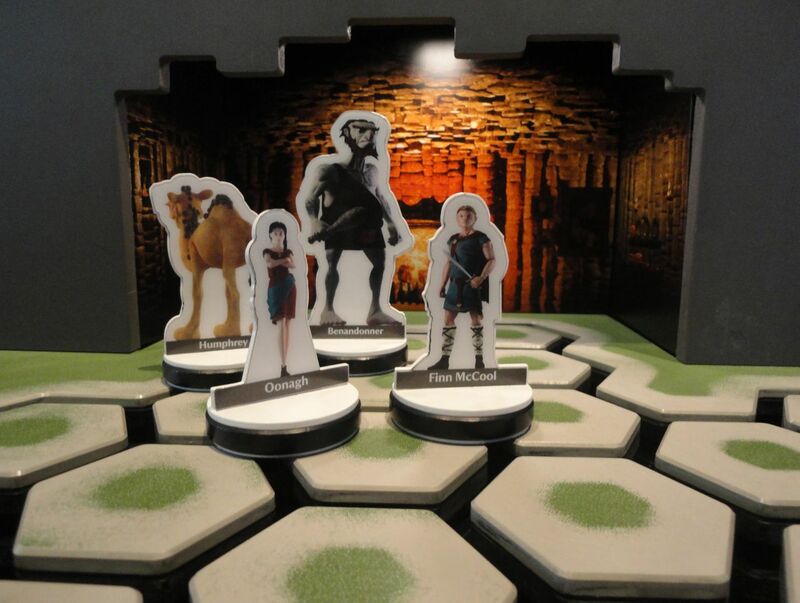 A giant video wall tells the story of Finn McCool, his wife Oonagh and the Scottish giant Benandonner. Displays guide visitors – young and old – through the life of Causeway guides, conversation staff, geologists and naturalists. 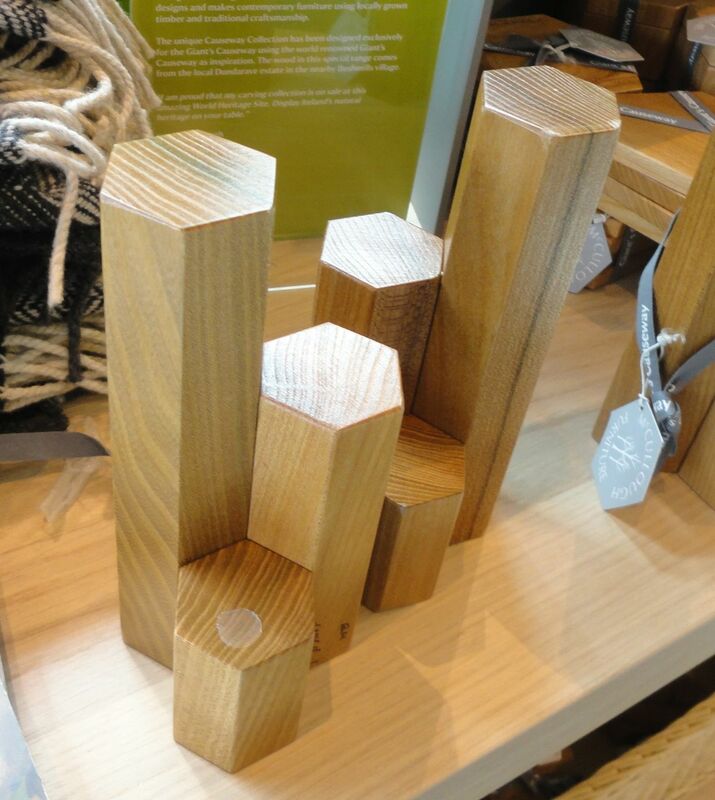 The National Trust shop is full of high quality touristy tat. 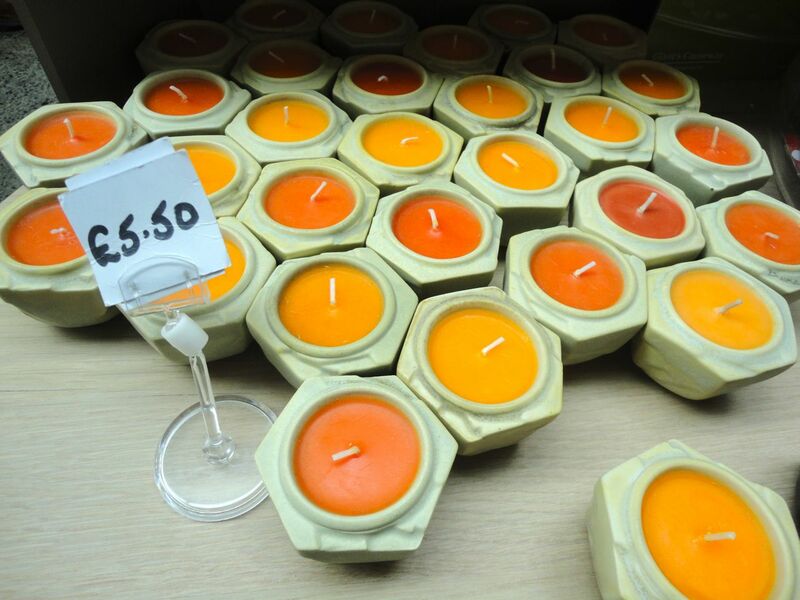 Would be worth checking out the longer-established McConaghy Souvenir shop a hundred yards away at the side of the Causeway Hotel to compare prices. 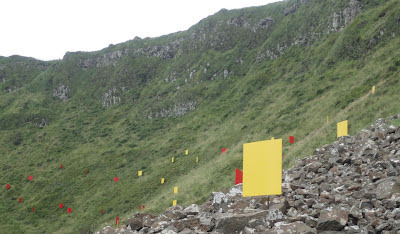 Given the sensitivities around the World Heritage Site, I found Peter Kuhn’s installation of Flags – just beyond the main stones – quite out of place. It felt a little like an enormous golf course had been set up on the Causeway: something the National Trust are keen to avoid around the coast at Runkerry. Together with the bottles of golf tees in the shop, perhaps golfers are more welcome in the region that they imagined! Admission prices are currently set at: adults £8.50 (£7.50 online); https://www.nationaltrust.org.uk/giants-causeway/buy-tickets/ 5-17 years old £4.25 (£3.50 online); under 5 free; families (2 adults and up to 3 children under 17) £21 (£18.50 online). National Trust members go free, and can avoid the £1 easy way charge in the bus if their legs can’t manage the walk. 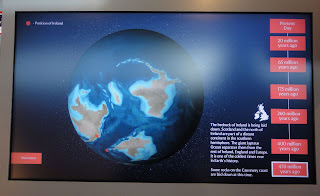 Overall, I’d say that the visitor centre is well worth a visit every now and again, particularly to get to hear the audio commentary again, but it’s not essential every trip. And bring a picnic. In less than six weeks' time, on 10 October, analogue-tuned TVs will lose their BBC Two signal as a warning to anyone who missed leaflet drop through every letter box, the pink posters, the pink bus and the adverts on TV. At the same time, the BBC’s digital channels will be extended to be broadcast from all transmitters, giving some areas their first ever taste of Freeview. 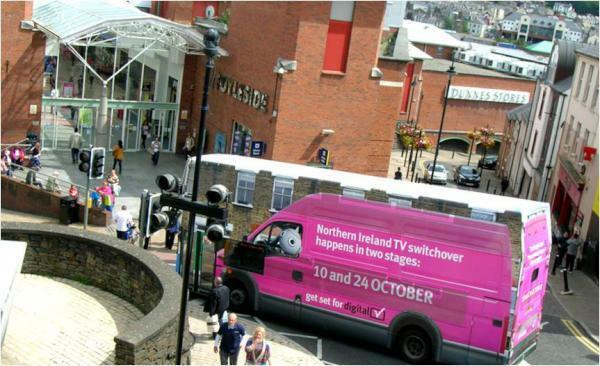 The UK’s digital switchover programme has been running for over two years. Analogue television transmissions have been switched off in a carefully planned sequence. With radio signals not respecting borders and boundaries – and frequencies being in short supply with analogue channels and digital Freeview multiplexes operating in parallel – Northern Ireland is the last in a batch of TV regions now able to complete its transition now that the jigsaw pieces in Scotland and Wales are in place. Two weeks later on the 24 October, the other four terrestrial channels will cease to broadcast, and the remaining digital channels will come on-stream. With frequency and multiplex (bundles of Freeview channels) changes, Freeview users will have to re-tune on both the 10 October and 24 October to keep up with the changes. 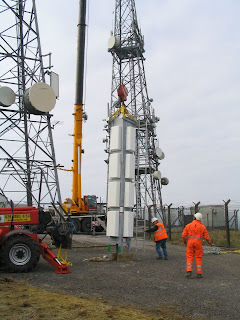 If your TV aerial gets its signal from one of the main three transmitters (Divis, Brougher Mountain, Limavady), you should get over 40 television channels (plus radio). If you’re relying on one of the relay transmitters, it’ll be the core 15 channels – BBC One, BBC Two, UTV, Channel 4, Five, BBC Three, BBC Four, BBC Parliament, BBC News, CBBC, CBeebies, itv2, UTV+1, E4 and More4 – plus radio. Anyone with a Freeview HD set top box and suitable TV should also receive the four Freeview HD channels: BBC One HD, BBC HD, UTV HD and 4 HD. Note that the switchover won’t necessarily happen simultaneously at the stroke of midnight across all of NI’s transmitter sites. But it’ll be obvious when the analogue channels go dark. With the analogue frequencies no longer in use, the Freeview signal will be boosted – massively – at the transmitters, which should help a lot of people currently living with less than perfect Freeview reception. The last figures available from Ofcom show that 9% of homes in Northern Ireland still replied on the analogue TV signal on their main household TV. They’re the main people affected by switchover, along with families with second (and third) sets that don’t have access Freeview, satellite or cable. Just over a quarter (26%) of NI use Freeview on their main household TV. The rest primarily rely on satellite (51%) or cable (9%). 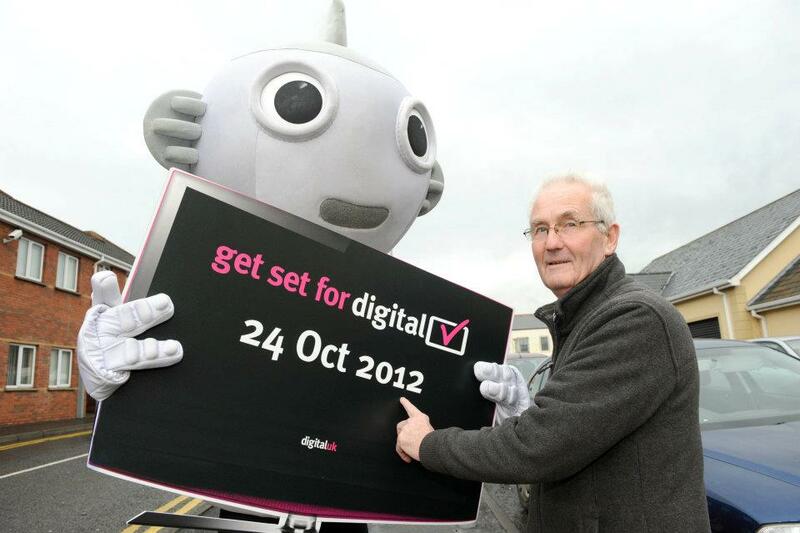 Digital switchover is an all island transition. While the Republic of Ireland has already been able to build out Saorview – its digital terrestrial TV transmitter network (fewer channels/multiplexes made the frequency clashes less of an issue), they too will finally switch off analogue transmission on 24 October, and marginally increasing their digital availability from 97% to 98%. A recent survey [though I can't turn my hand to the source] showed that around 70% of people in Northern Ireland regularly watch RoI channels. After switchover, border areas will continue to be able to pick up digital signals from the south. 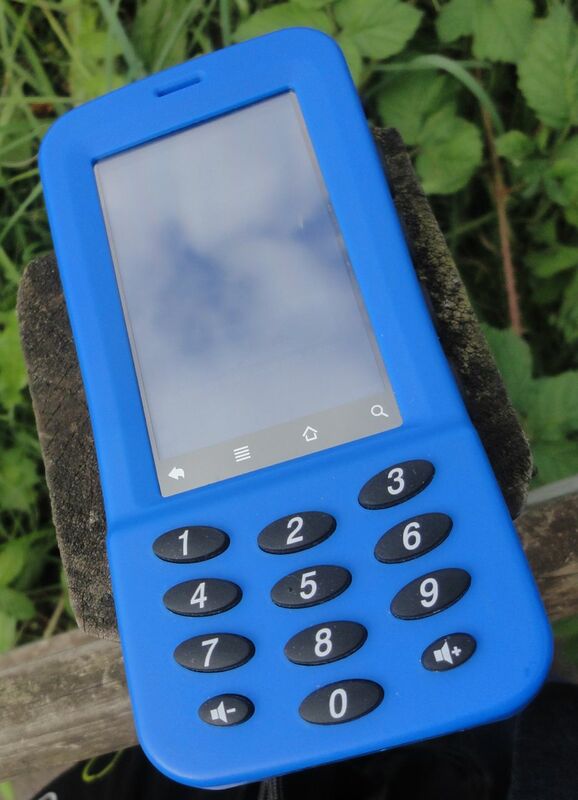 While there’s coordination of dates, there are technology differences between the UK and RoI digital terrestrial solutions. Modern Freeview boxes – and in particular any branded as Freeview HD – will be able to decode the MPEG4 stream. Alternatively, Saorview set top boxes can be used. Saorview offers eight channels: RTÉ One, RTÉ Two HD, TV3, TG4, 3e, RTÉ News Now, RTÉjr and RTÉ One +1. Use a Freeview box, and the Saorview channels will have high channel numbers and red button features such as subtitles may not work. Use a Saorview box to pick up digital TV signals from both sides of the border and you’ll find the Freeview channels up high and red button features may not work. 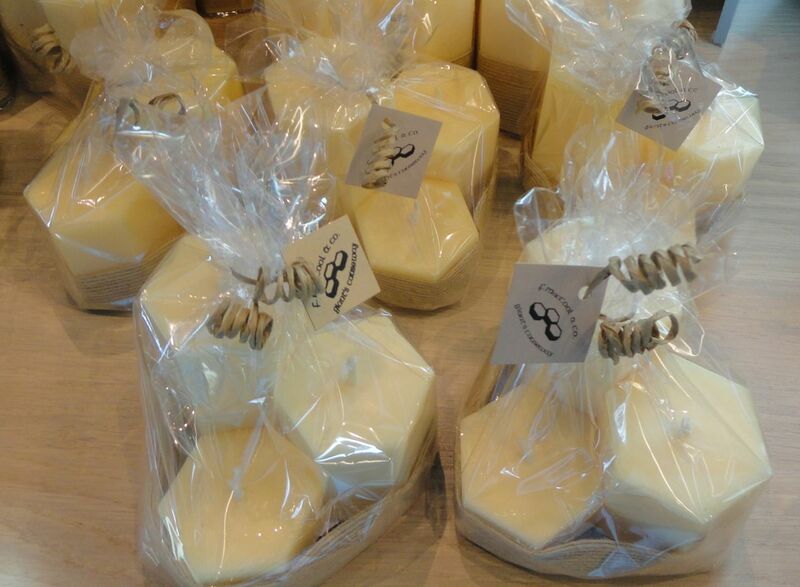 Or you could use two boxes. Freeview transmitters on Black Mountain, Carnmoney Hill and Brougher Mountain will also transmit TG4, RTÉ One and RTÉ Two on a “mini-mux”. Note that TV3 isn’t included. You’ll need a Freeview HD-capable set top box or set to receive them. Due to rights restrictions, some sporting programmes and films may be unavailable. But it should extend the availability (and quality) of transmission of the three channels. There’s information about coverage, channel availability, and how to retune different set top boxes on the Digital UK website or by phoning 08456 50 50 50. The information leaflet is available on the website in Irish and Ulster Scots (well worth a read tae get yer heed arund tae the deegital cheenge-ower). Digital UK's Denis Wolinski notes that there has been some demand from Irish language communities as well as North Antrim Ulster Scots heartland for printed copies of these translations. A shorter booklet is also helpfully translated into Lithuanian, Polish, Portuguese, Romanian, Simplified Chinese and Slovak. If you rely on cable or satellite, then digital switchover is pretty irrelevant to you! 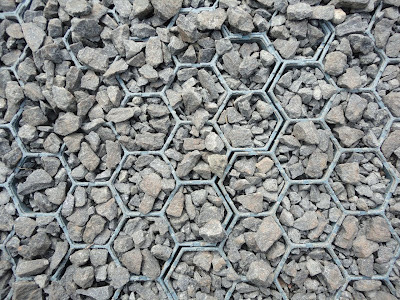 But you might want to check that older neighbours and relatives are sorted out. While not wanting to fall into the trap of hubris, Digital UK are confident that the NI switchover will be straightforward. The Switchover Help Scheme offers discounted boxes to anyone who is aged over 75; or registered blind/partially sighted; or living in a care home for six months or more; or eligible for DLA, Attendance/Constant Attendance Allowance or Mobility supplement. In some cases it’ll be free. Call free on 0800 40 85 900. If the installer finds that Freeview signal will not be good, an alternative such as Freesat will be offered. 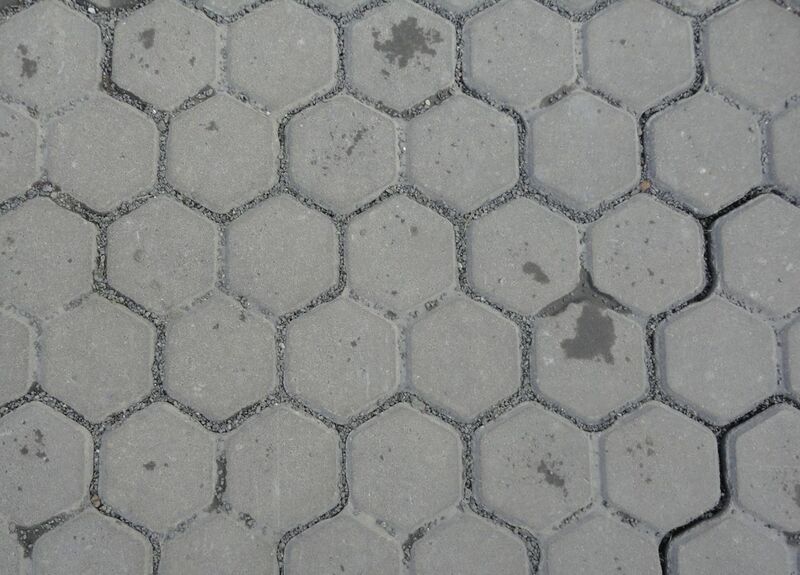 In the meantime, watch out for the headache-inducing optical-illusion branded bus!